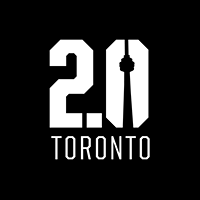 2point0toronto is my brainchild. Born out of necessity to improve the current state of my beloved fitness industry. However idealistic, we aim to help the industry as its 'student council'. We produce 3 different styles of events: The Summit, which has been called the Ted Talks of Group Fitness, The Masterclass, which is a 'workout then a work-in'; body then mind stimulating workshop, The Mindshare, which is an industry only event that enables real talk amongst industry peers. Every year we aim to produce 5-10 events for a curious audience interested in self-development. We are open to all levels. Our efforts are volunteer and our funds are raised in support of charity. This is my legacy. This is my gift. This is my love. This is how I show gratefulness and appreciation. This is my 'next level'. This is Julian Ho 2.0. To book a consultation for a curated corporate event, please message me via my 'contact me' form and I will reply within 24 hours. Check out our website and instagram account @2.0toronto for more information.